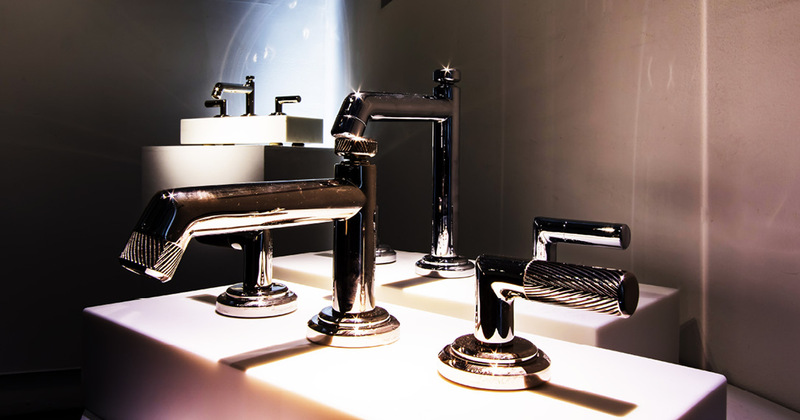 For an evening celebrating the launch of a new collection, Kohler wanted to evoke the feeling of an exhibition, showcasing new product designs through the use of lighting. 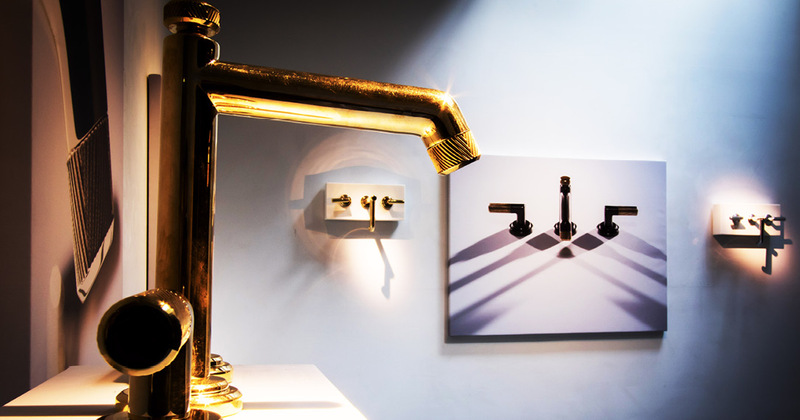 The product designers from Kohler were joined by VIPs and high-end customers at the Agora Gallery to view the new collection, which was displayed as works of art. 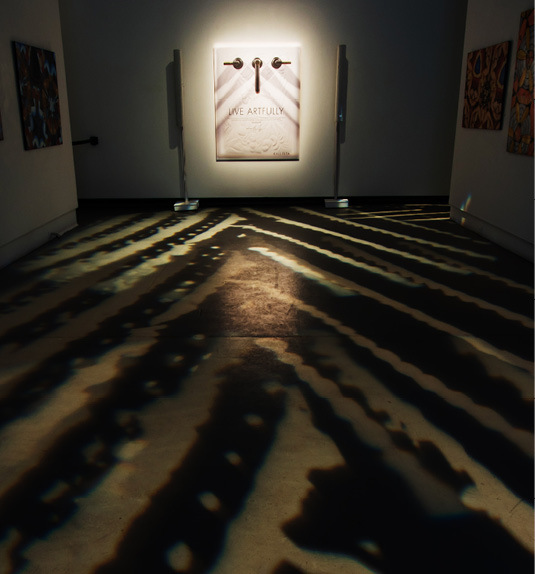 At the entrance of the gallery, we created a visual runway with a custom pattern of light that worked as an initial touch point, inviting guests into the space. 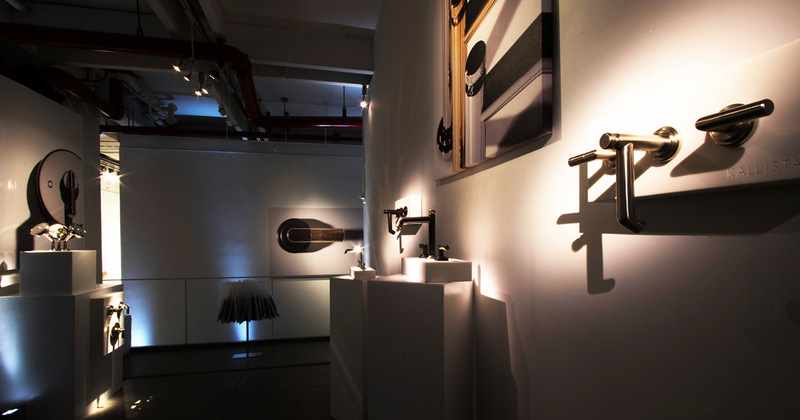 Architectural lighting framed the pieces, enhancing the visual representation of the product and communicating the client’s aesthetic and mood. 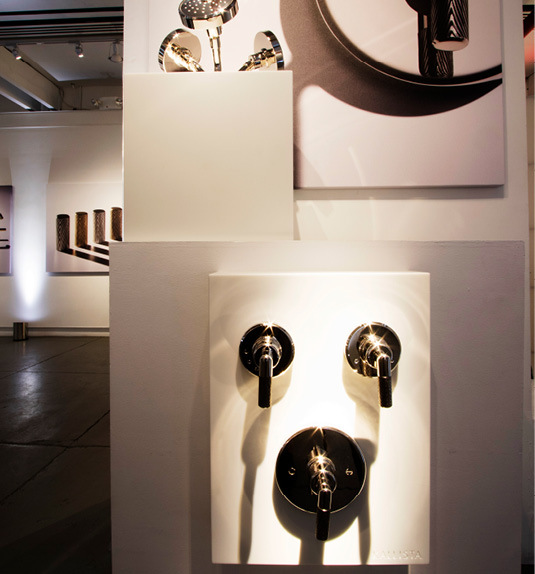 These displays prominently illustrated the defining qualities of the new collection so that viewers could imagine how these fixtures would stand out in an interior setting.